Around this time of year, I start thinking about improvements I want to make inside my house. More time is being spent indoors and I really start to notice how "closed in" the house feels... closets are overflowing with winter gear; cozy toss pillows and blankets are pulled out and put to use in the basement. Everything just feels a little fuller. Does that happen to you? The house just seems to reach its peak of disorganization at the end of the year. 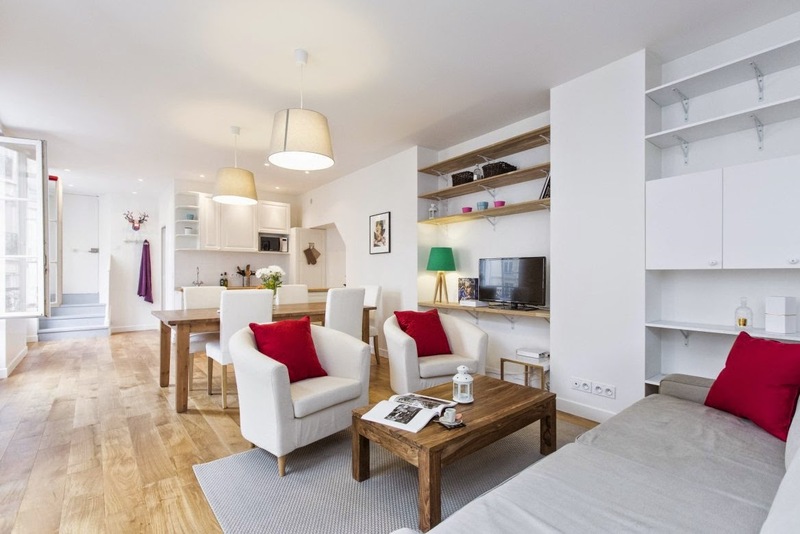 Europeans mix modern styles into their homes so well. The apartment was minimally furnished but it didn't feel like anything was lacking. It had just enough. I noticed this especially in the kitchen which had a really streamlined layout. We prepared breakfast and a few dinners here during our vacation and I got to try the induction cooktop which was fun. It was very simple to operate and clean up was a breeze. 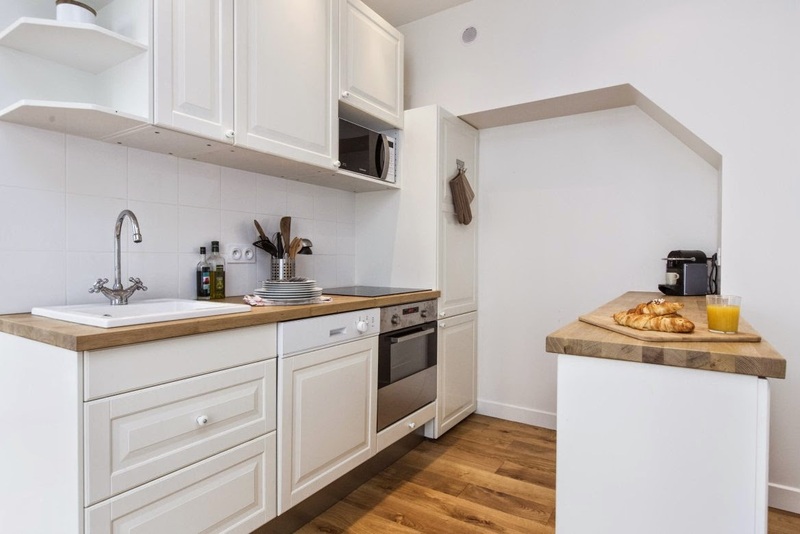 When Panasonic Canada reached out to me recently to help spread the word about their suite of built-in kitchen appliances - which now includes a state-of-the-art over-the-range microwave, induction cooktop and convection oven - my thoughts turned instantly back to this kitchen in Paris. 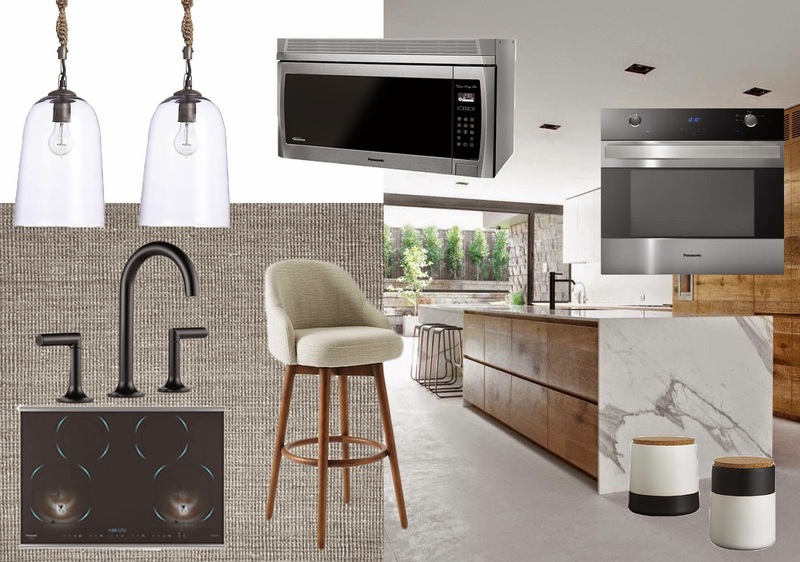 I'm not renovating my kitchen anytime soon but I thought (just for fun) that I'd try and create a look that's a bit more clean-lined, textured and modern. Many Parisian homes are decorated with primarily white walls and black and wood accents and I was really inspired to bring that look back home. I think black and white works really well in the kitchen because it feels crisp and clean - albeit a little cold - so be sure to add touches of natural wood and textured fabric to warm things up. It's easy to put together a kitchen mood board but planning and designing one that will meet your family's needs takes a lot more effort. Panasonic has put together a microsite, Your Next Kitchen, which can help guide you through the process. Even with my own kitchen, which is five years old, there are a few things I would change so it really pays to take the time to plan well. Are you making any changes indoors? I'd love to get my house feeling more organized before its time to hibernate! This post has been sponsored by Panasonic Canada. All opinions expressed are my own.